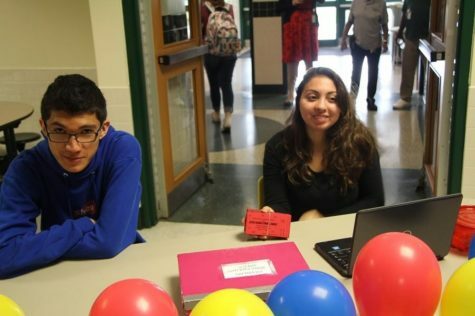 Jennifer Sena and Jalen Dollesin sell homecoming tickets in the McGowan cafeteria. Tickets for the event, which will take place October 13, went on sale starting October 1. 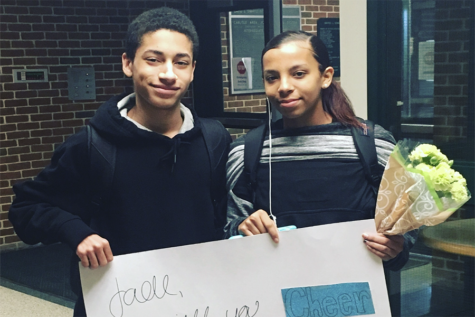 Damian Helman asks Jade Lancaster, both freshmen, to the homecoming dance. She is excited to go with him. 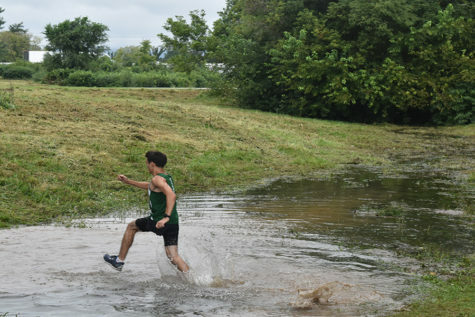 A runner staggers through the river formed by rain on the cross country course. Both boys and girls won this meet against CV and Central Dauphin. Check out our new Photo Friday section of Periscope. Every Friday, we will share an image from the week at CHS, showing off the talents of our CHS photographers.